When our regular coffee place started serving less than mediocre coffee, I had to find a few back-ups that open till late. Rekindle in SS2 was one of them – they open till midnight. The place itself is quaint and cosy; tables come in the form of the old-school sewing machine (that paddles back and forth) and a corner with large pillows to sit on. The crowd is young; hippie more like it. Many of them are students I reckon, judging from their carefree manner and dressing. 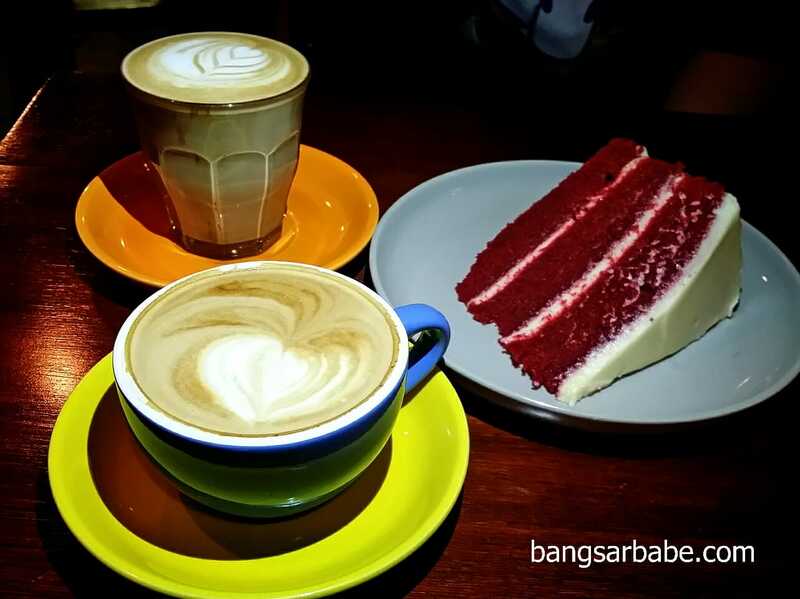 The Flat White is decent – good enough to ease my coffee craving especially over a slice of red velvet. I find the espresso base stronger because ground coffee beans are “double basket pulled” to give you more oomph. The red velvet is one of the best I’ve tried in Klang Valley, I must say. The cake is moist and not overly sweet, with a good balance of cocoa in the mix. Very eye-catching against the snowy white icing; pretty to look at and fun to eat. 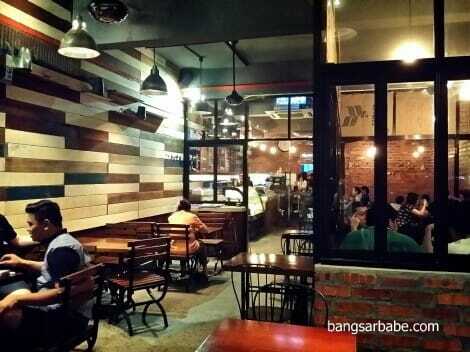 If I’m not mistaken, a slice cost RM11.90. Hopefully they won’t decrease the size of each slice going forward. 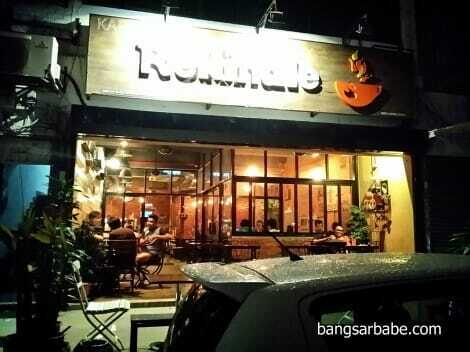 Rekindle serves flavoured coffees too, like the butterscotch latte (RM12) rif tried. For some reason, my man is a sucker for all things butterscotch and caramel hahaha. I didn’t like this, because it tasted more like candy than coffee. Verdict: Decent coffee. Try the red velvet while you’re at it. A good coffee is when you drink it black, without sugar…that will indicate how good it is.